It’s a joke, our Democrat media complex, all around the world now, even though other countries, even Britain, don’t exactly understand what standards our Free Press is supposed achieve. For those who actually think about it for more than a couple of minutes it’s quite unprecedented. Is industry-wide voluntary meltdown of morals and the invalidation of Journalism. Yeah I agree Hanover it is pretty pathetic the state, journalism finds itself in. And yet you can see they still don’t get it, look at cilizza’s indignation that anyone would think the press has an agenda. These people are still in denial about how the world sees them. 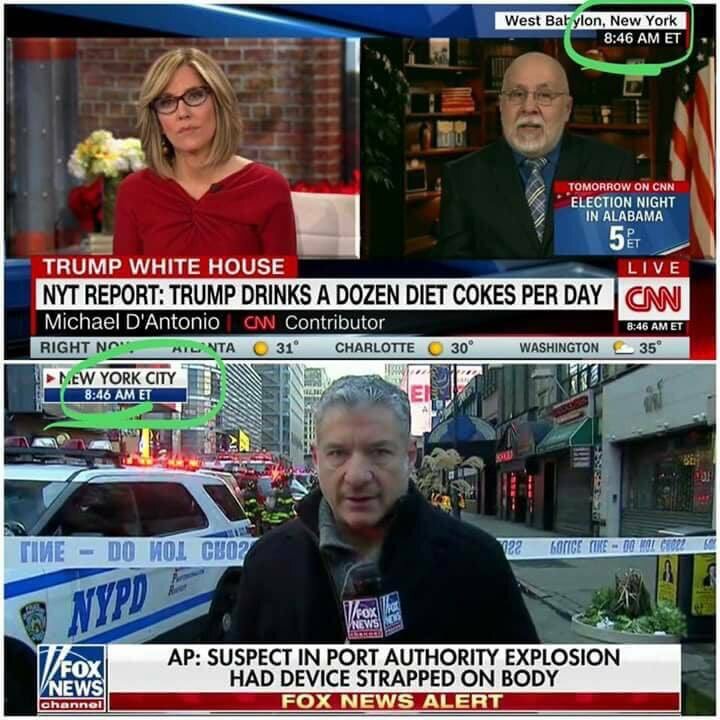 The thing that truly made the whole Diet-Coke-Gate thing ridiculous, is that aired shortly AFTER the bombing in New York. overthrow Trump to the extent that it borders on Treason. What amazes me is that so many people still find the media credible. It shows, again, an utter narcissism of the press in their inability to see themselves as biased or unfair. I mean, OBVIOUSLY, since they are the press they are reporting the important news which makes them unbiased and fair, right?